Depending on your particular case and the severity of your problem, you may be given a local anaesthetic or referred for sedation if you are anxious. Teeth will be removed to make space in an overcrowded mouth to allow the remaining teeth to come through straight or prior to realignment as requested by an orthodontist. 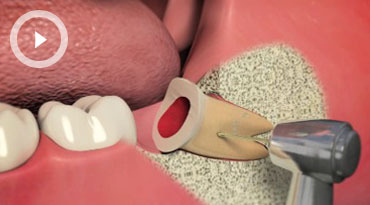 Once a tooth has been removed it is important to allow time for a blood clot to form in the hole (tooth socket) where the tooth was, to begin the healing process. It is therefore important that the extraction site is not disturbed, or the mouth rinsed for at least 24 hours. The dentist may ask the patient to bite on a gauze pad to encourage the clotting process. Vigorous exercise, smoking, and eating food on the affected side of the mouth for 3 to 4 days, should be avoided. Gentle cleaning of the teeth with a soft toothbrush during the first few days after the extraction is possible, but avoids the extraction site itself. The diet should be restricted to soft foods for two weeks after any dental extraction. The dentist will also encourage the patient to use hot salty water mouthwashes the day after the tooth was extracted (one teaspoon of salt to a small tumbler of hot water). It is quite normal to experience some swelling to the face after a tooth extraction and an ice pack may help to reduce this.